Perth’s long-term vision, released this week. 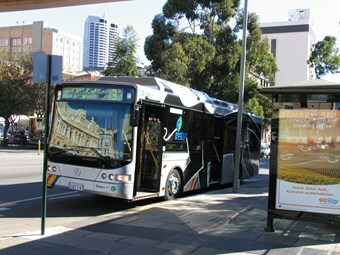 key role for mass transit systems as part of an effective metropolitan public transport system. Council Mayor Lisa Scaffidi says Perth is committed to the development of a successful and liveable capital city for now and generations to come. "The City of Perth is currently in a period of extraordinary growth and development, and over the next few years, several key projects will significantly alter the shape of the city," Scaffidi says. "Our strategic community plan is important because it will ensure the city is best placed to achieve its future goals." Improving safety and security and creating a strong and active night-time economy. Scaffidi says proposed changes are complex, but stakeholders will be considered. "We will continue to improve communication with stakeholders, visitors and citizens to ensure all are fully informed of issues, temporary inconveniences and the reasons behind our changes," Scaffidi says. "This is and continues to be a priority of the city, and we take a strong lead in engaging the community." Redeveloping Queen’s Gardens’ car park in accordance with the east Perth redevelopment authority master plan. According to council, it has a clear vision, agreed with the State Government, for movement to and within the city for all modes of transport.